Writing is a complex form of art. As a writer, you must have the right mindset, creativity, intelligence, and grammatical abilities to consistently write quality content. Unfortunately, conveying whatever it is that you have on your mind onto paper (or the keyboard) can be very challenging. Some writers have great ideas and meaningful content to share, yet stumble upon the obstacle of actually writing it. Common reasons for this kind of situation include mental blocks, lack of vocabulary, and distractions. To write proficiently and convey your ideas effortlessly, consider these key pointers at all times. A writer cannot convey what's on his or her mind into writing if distractions are all around him or her. Although writing does seem less tiring and grueling than your average office day job, it still requires focus and acuity. You will likely fail to convey what's on your mind if your relatives or friends are barging into your home and keeping you from focusing on your work. When writing, always seek a place of peace. It does seem better and more professional when you write in an academic tone or style. However, it isn't always how the clients and readers would want to read it. Most people want to read content that is easier and simpler in form, and so should you. Write without using fancy words that will simply complicate the way you convey your ideas into writing. If there is a word or shorter phrase for an idea you are looking to write, use it. Reading is likely the number one task you can undertake to be the best writeryou can be. It allows you to expand your vocabulary by exposing you to new words, phrases, and sentence structures you were never aware of. It opens your mind to new styles and makes you better informed as a professional. Read anything you are interested in including books, newspaper snippets, brochures, dictionaries, and online articles. Be sure to include what's “in” in these materials so that you have a smart idea of what's out there and where your industry is going. Though you want your writing to read simply, this doesn't mean you should dumb your content down. In other words, your vocabulary should not be limited to basic words and phrases. It is your duty to master your language, and part of that is expanding your vocabulary. This will help you take on different styles of writing while still emerging with the same high quality results clients or readers expect. In writing, nothing beats experience. This is especially true for writers who manage product reviews and provide feedback for particular establishments and services. If you are recommending a book, product, or service to your readers, make it your business to have tried it prior making any suggestions, so that your opinions are both legitimate and reliable. This firsthand experience allows you to think of better and simpler words that can convey the idea in the clearest way possible and that ensures your integrity. 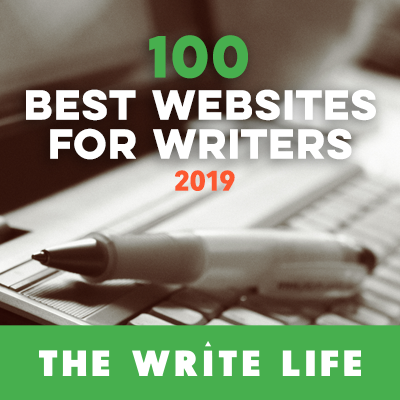 As either a freelance writer or full-time blogger, you may need to write thousands of words every day to generate income or produce traffic. And without inspiration, this goal will be difficult to reach. Identify what inspires you to write. Perhaps you are inspired by some of the best writers of your time, hoping to emulate them? Maybe you are inspired to write when traveling, eating, playing games, or watching movies? Whatever story you want to tell, make sure that you know exactly why that's the case, and pinpoint what exactly about it makes you want to chronicle it. Pressure in meeting client deadlines or reaching your personal quota is a bad habit that some amateur writers make. It is better to take your time than unnecessarily make haste. Working at a pace you are comfortable with allows your mind to focus. You'll then generate better ideas and words than otherwise. This is a very common mistake writers make. It happens when you treat your craft as nothing more than work. Some intentionally create duplicate or wordy content to reach minimum word limit set by their clients, for example. This is a disservice to both them and you. Doing so several times can lead down a terrible road that will simply irritate your readers and likely turn clients away from your talents. Remember that writing is an art form, no matter how commodified it may become. Treat it as such. Overall, conveying what is on your mind into writing might always be difficult. But accepting this difficulty and working diligently to overcome it will further improve your career path as a professional writer. Keep in mind that a writer must have great imagination and creativity. No matter how easy it is for you to convey what's on your mind into writing, it will be useless if you are unable to think of any great ideas for your content, so use your spare time to brainstorm as much as possible. Marcia Walters is a PR expert, teacher and mother who frequently writes about communications, education and parenting. Marcia’s proudest work, which is on the top online public relations degrees, can be found at https://www.superscholar.org/top-schools-for-online-communication-and-public-relations-degrees. Betty Brock writes about education, her career as a writer, and more. Betty’s most recent work is on the highest paying education careers and can be found at https://www.bestdegreeprograms.org/highest-paying/education. If you want immediate gratification, a writing or editing job with a small company is right for you. You may have the opportunity to write and edit early on in your tenure. In larger firms, however, entry level writers and editors generally begin by doing research, copy editing, or fact checking.